With over 250 images that span the astonishing range of his subjects and his evolution as a photographer, this is the first career retrospective of Eli Reed, one of America’s leading contemporary photojournalists and the first African American member of Magnum Photos. 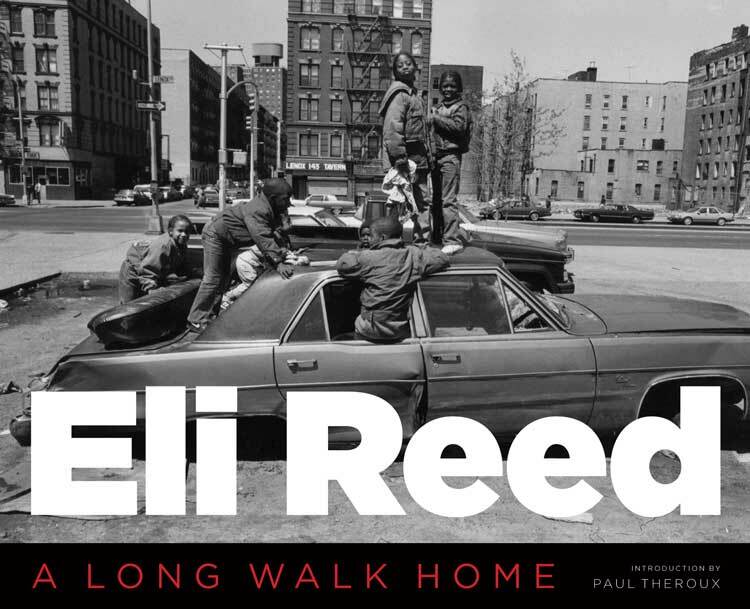 Award-winning documentary photographer Eli Reed’s “long walk” has been a journey that has taken him from a low-income housing project in Perth Amboy, New Jersey, to Harvard University and to membership in the elite international photojournalists’ collective, Magnum Photos. Reed’s quest to understand “what it means to be a human being” has given him an extraordinary empathy with the people he photographs, whether they are Lost Boys in Sudan, the poor in America, or actors in Hollywood. In a photographic career spanning five decades, Reed has been the recipient of a World Understanding Award from POYi (Pictures of the Year International), Lucie Award for Achievement in Documentary, World Press Award, Leica Medal of Excellence, Overseas Press Club Award, and a Nieman Fellowship at Harvard, as well as a runner-up for a Pulitzer Prize. Eli Reed: A Long Walk Home presents the first career retrospective of Reed’s work. Consisting of over 250 images that span the full range of his subjects and his evolution as a photographer, the photographs are a visual summation of the human condition. They include examples of Reed’s early work; a broad selection of images of people from New York to California that constitutes a brilliant collective portrait of the social, cultural, and economic experiences of Americans in our time; images of life and conflict in Africa, the Middle East, Haiti, Central America, England, Spain, South America, and China; portraits of women and Hollywood actors; and self-portraits. Reed’s artist statement and an introduction by Paul Theroux, whom Reed met while working in Africa, complete the volume. A Magnum photographer since 1988, Eli Reed is the author of two highly praised books, Black in America , a twenty-year survey of the African American experience, and Beirut: City of Regrets . He is also a member of the Kamoinge photographers’ collective and an honorary member of the Society of Motion Picture Still Photographers, and has photographed and made short documentaries on the sets of over twenty feature films. Reed has lectured and taught at the International Center of Photography, Columbia University, the Smithsonian, New York University, and Harvard University. He currently serves as Clinical Professor of Photojournalism at the University of Texas at Austin. Paul Theroux is the author of over thirty novels and short story collections, as well as numerous works of nonfiction focused on travel, including The Great Railway Bazaar .